NOW ENROLLING please call 908-464-5051 or e-mail for more information. 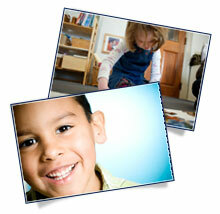 Diamond Hill Montessori School is a private school for children from 2.5 through 6 years old. Diamond Hill Montessori School is located in Berkeley Heights, NJ and serves the towns of Summit, Watchung, New Providence and Chatham. Character development is an essential component to success in school and in life. A Montessori preschool supports consideration and respect for others as well as a positive awareness to develop moral attitudes based on a clear sense of right and wrong. Cultural events are celebrated as opportunities to learn about different customs and backgrounds. The Montessori preschool program carefully integrates the development of social skills, emotional growth, physical coordination and cognitive preparation. Program activities foster each child’s natural love of learning, emphasizes respect for other children and for the environment. Montessori preschool children tend to be confident, independent people. They have been given choices and opportunities to decide for themselves since they entered preschool. The opportunity to achieve greater levels of independence was formed and supported as a daily part of their lives.